Those who want to live with a furry companion but who are not in a situation to do so have recently turned to YouTube to meet their dream pets online. In recent years, pets have become heavyweight players on the online platform. 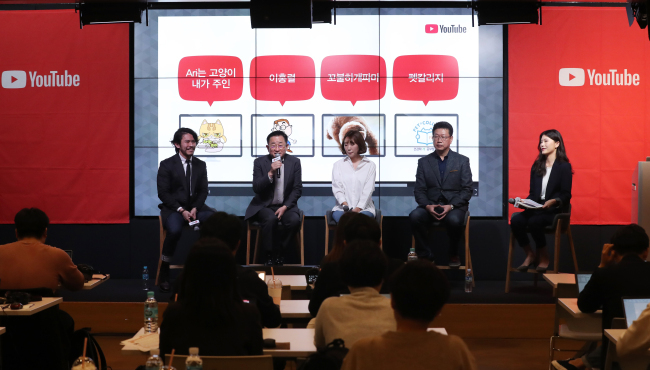 Four PetTube creators attended a media event arranged by YouTube, held Wednesday at Google Campus in southern Seoul. They shared what it is like to live with their furry friends and the stories of running a PetTube channel. Kim Jin runs the Curly Perma channel on YouTube. 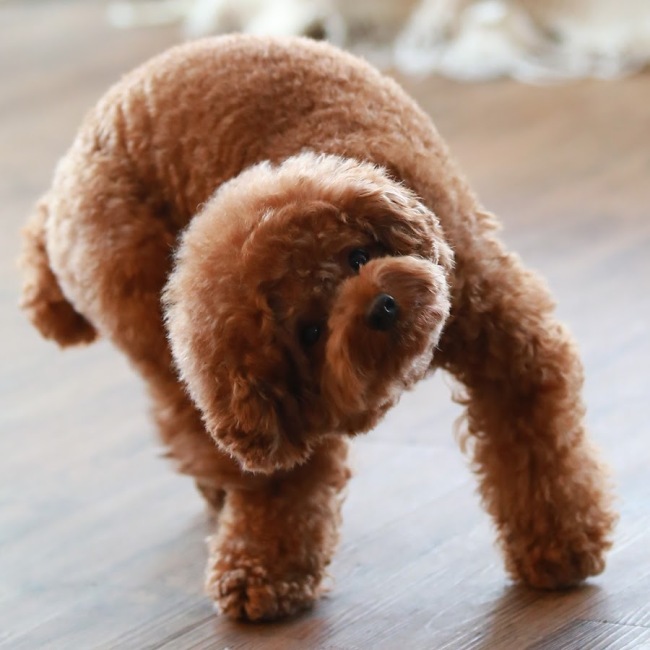 Through the channel, Kim and her husband share their everyday life with a brown poodle named Perma, who is a rescue dog adopted from a shelter. “Before, we had tried to adopt two abandoned dogs, but we failed. So before adopting Perma, we had our worries. However, there wasn’t much information on the adoption process on the internet,” Kim said. Park Dae-geon is another pet-related creator who started with an informational purpose. He runs the Pet College channel. A veterinarian with more than 25 years of experience, he wanted more pets to be healthy and live a happy life with their owners. “Rather than staying passive and treating sick animals, I chose to help them stay healthier. It is more important to keep the pets healthy, rather than have them coming to the clinic with illnesses,” Park said. “But on the internet, there is not much information. Rather, it is filled with unverified information. Veterinarians, who know the correct information, are mostly too busy to make videos,” he said. Park and his veterinarian friends gathered to create videos that deliver necessary knowledge regarding taking care of a pet. He says it takes approximately six to seven hours to produce a 10-minute clip. “We never give out medical advice through comments. We cannot answer about a pet’s condition through a few lines of question. If you are really worried, you should go to a veterinary clinic,” Park said. A “cat butler” was at the scene, too. In Korea, many cat owners refer to themselves as “butlers,” as it seems to be the cats who make the decisions as the humans run their errands. 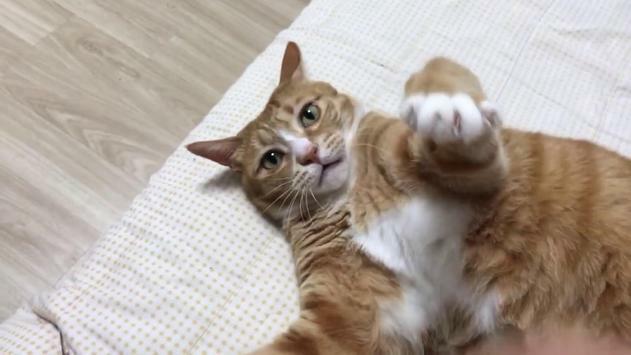 Nam Ki-hyung, a stage actor, runs a channel that translates to “Ari is a cat and I am the master.” But the videos suggest otherwise, with Nam being the servant and Ari the feline master. “The basis of all PetTube is about bragging. ‘Look at my baby here. Isn’t he or she lovely?’ But for my case, it was ‘Look at how mean Ari is,’” he joked. The cat butler continued to explain how beneficial the video-making process is for his relationship with Ari. “Before I started YouTube, we were just creatures living together. But now I observe him more. Through the observations, I came to understand more about Ari and am able to understand his needs,” he said.